I love this, and thought how freeing it would be if we believed this about not just rugs, but our lives. What if it was downright heretical to expect perfection out of ourselves? What if we believed that perfection was the purview of gods, not humans? I explore this question today on the Make Light Show. 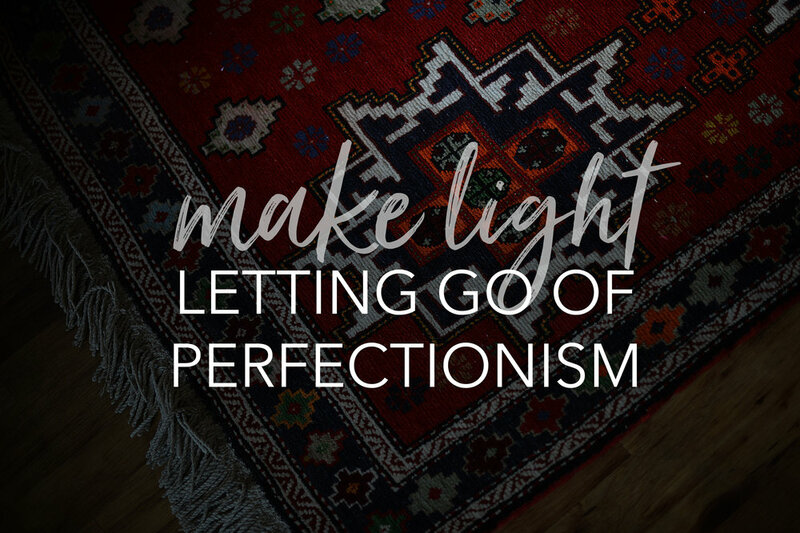 Join me as I discuss how to let go of perfectionism, the difference between perfectionism and healthy striving, and how to get happy now.